It’s inevitable: spring is here, summer is on its way, and your winter fragrance is on its way out. Sorry—we love the warm comfort of our favorite winter fragrances too, but they can be too overpowering for the warmer months. Switching to a lighter scent can seem overwhelming when there are so many options out there, but it’s actually really simple! We asked Patti Kapla, V.P. of Business Development for FragranceNet, how to find a spring perfume that you’ll love just as much as your winter fragrance. Here are her five essential tips. 1. Look for its sister. 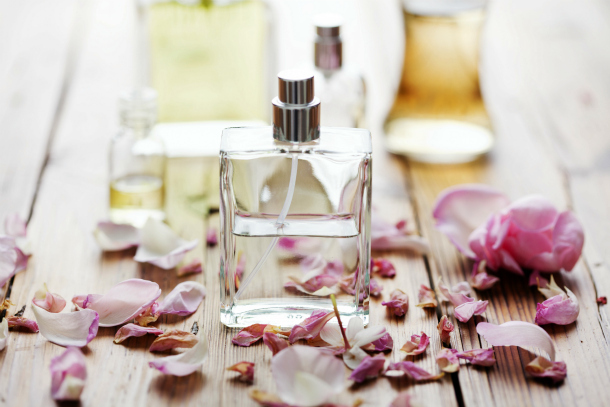 One thing you can do if you love your winter fragrance is to look to the same brand for your spring/summer scent. For example, if you’re a fan of Tom Ford Black Orchid ($112) but find it too overpowering for warmer weather, take a look at some of the lighter Tom Ford fragrances. Tom Ford White Patchouli ($112) has a similar warm, musky base to it but is lightened considerably with white florals, while Tom Ford Neroli Portofino ($215) is also a great summer choice thanks to its strong citrus notes. Patti says “It’s simply a matter of looking at the other fragrances offered by a brand that you already like and choosing one that has main notes of citrus, florals, or fruit.” You’ll be spring-ready in no time. Perhaps you want a complete fragrance makeover and you’re ready to try something completely new. In this case, you should look at the middle and base notes that make up your favorite winter fragrance and then search for a perfume that has at least one or two of those notes mixed with lighter, sweeter notes. As Kapla explains, “The base notes together with the middle notes form the main inspiration of a perfume.” You can compare top notes as well, but those usually evaporate quickly as the perfume settles on your skin. So for example, suppose you like to wear Thierry Mugler Alien ($120) in the winter months. Alien has a top note of jasmine, woodsy middle notes, and a warm amber base note. Decide which of those appeal to you the most and then look for a fragrance that has that note combined with summery notes like citrus or florals. If you like the amber, you could switch to Stella McCartney Stella Eau de Parfum ($72), which has a strong amber base note lightened by notes of rose, peony, and tangerine. Chloe Eau de Parfum ($105) also has an amber base with rose and peony notes. If you prefer to capture the jasmine, you could switch to Elie Saab Le Parfum ($95), which has a strong jasmine heart with top notes of orange blossom and a base of cedar, patchouli, and rose honey accord. Finally, you could seek out a fragrance with woodsy notes that are mellowed out by citrus and white florals, such as CLEAN White Woods ($38). If this seems overwhelming or like too much work, you could seek out the help of a professional. Salespeople at Sephora, Ulta, and department stores are trained for this exact purpose, and they will be happy to help if you ask. Try to go in with an idea of the kind of scents you like, even if it’s just “fresh and clean” or “roses.” They can make educated suggestions and even offer you samples to try. There are a few ways to get fragrance samples. Sephora is particularly generous with free fragrance samples; you can request one to three samples in-store, or you can choose a few samples when placing an online order. There are also lots of websites that offer fragrance samples for a small cost; try Luckyscent, FragranceNet and The Perfumed Court. You could also try a perfume subscription service such as Scentbird, an amazing service that delivers a 30-day supply of perfume to your home every month. 5. Experiment with what you have. If you’re on a strict budget that doesn’t allow for a new perfume, you can still work with what you have to lighten your signature scent for warmer weather. One trick is to dispense several pumps of oil or unscented body lotion into the palm of your hand and then add one spray of your winter fragrance before smoothing it over your skin. This will help to dilute the heaviness of the scent. If you simply want to switch up your scent because you’re tired of using the same ones over and over, try layering what you have. Kapla says it’s as easy as spraying “one scent on your wrists and another on your neck.” If you have a fragrance with summery notes (like floral, fruity, vanilla, or citrus notes) then try wearing it with your winter fragrance for a brand-new, complex scent that nobody else will have. More from Daily Makeover: ScentBird is the New Way to Buy Designer Fragrances.